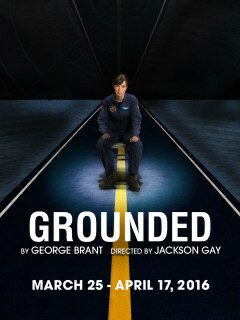 Alley Theatre presents Grounded. In the Nevada desert, a now pregnant ace F-16 fighter pilot has been reassigned to a new position, flying a remote-controlled drone from an Air Force trailer. Her 12-hour shifts hunting terrorist targets in the Middle East are followed by 12 hours at home, struggling as a wife and mother in suburban Las Vegas. 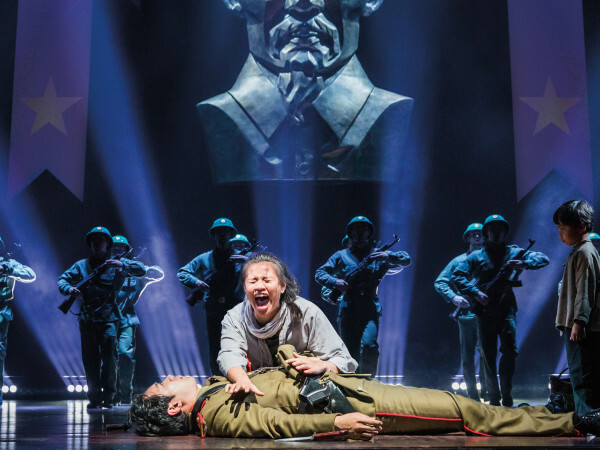 The mounting pressure to track a high-profile target blurs the boundaries between the desert she lives in and the one she patrols, half a world away.